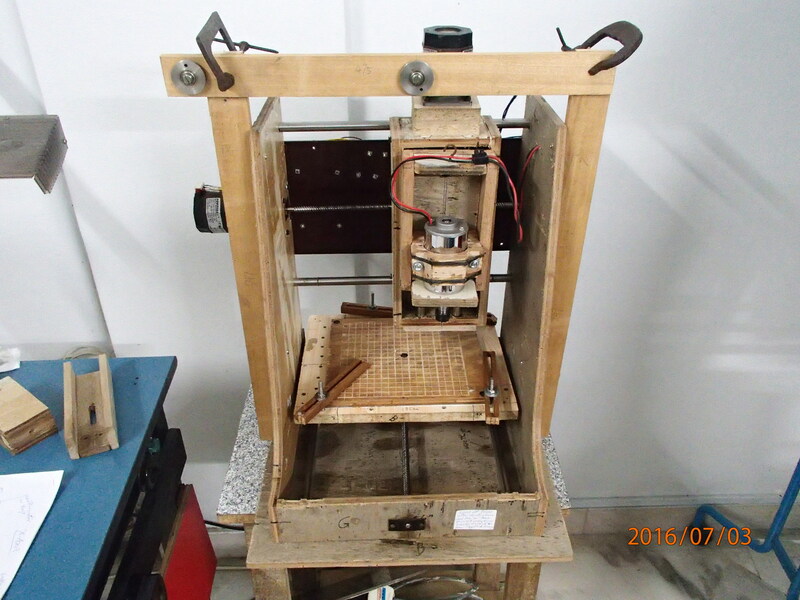 I had been using my movable bed cnc machine to fabricate parts for my other projects. For example, I had machined out a pocket from a piece of wood for use as a sliding block for my drill bench press. Yes, I did improve on my previous drill press! Watch out for it in my future blog post. I am also planning to make a bigger CNC machine and I intend to make use of my existing cnc machine to help me get more accurate cuts for the material component parts. Because some parts need to be identical, I must find a way to place a work piece at the same position as the previous piece so that the machine can cut it exactly as before. This is called repeatability. On the internet, there were suggestions for machinists in the form of jigs, fixtures and clamping devices that could help with this repeatability. 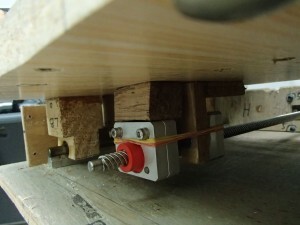 In fact, I had actually set up one side clamping device during the early trials period, but it was not very successful. I might have to find it back. Anyway, even with non-critical work pieces, I need a quick way to position my work piece. Drawing lines on the work bed would serve this need somewhat. So I created a mesh pattern consisting of a series of horizontal and vertical lines, spaced 10 mm apart, converted them into cutting paths g-codes which could then be understood by the cnc machine and proceeded to engrave the lines on the spoil board of my movable bed. Halfway through the process, my machine started to give problems. The vertical lines were almost perfect, and they overlapped at the exact same place. However, the horizontal lines were a disaster. If you have noticed on the video, all the vertical lines were spaced 10 mm apart, but the horizontal lines were not spaced 10 mm apart. In fact, there were many horizontal lines in between the 10 mm spacing. What was going on? Why was there no repeatability! The position of the vertical lines were controlled by the X-axis while that of the horizontal lines were controlled by the Y-axis. This was a symptom of too much play in the lead screw in the Y-axis. In other words, there was backlash in the lead screw nut. Previously, I had already added some impromptu kind of anti-backlash nut using rubber band (for lack of coil steel springs) for the X-axis. That’s why it did not stray from it’s path. Now, the problem was seen in the Y-axis. I did not change it then because I hoped the weight of the movable bed could help to reduce the backlash, but still finally it did happen too. It was slightly more complicated to add the anti-backlash nut for this as it involved dismantling some of the parts. Well, what had to be done had to be done. I am still hoping the constant downward weight of the spindle in the Z-axis would create some sort of anti-backlash in the lead screw and so it should last longer without giving any problem. Keeping my fingers crossed. After installing the anti-backlash nut, the problem went away. 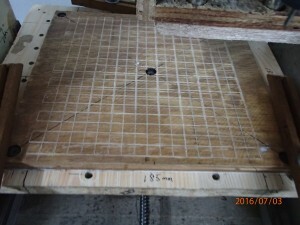 There were also some depressions on the bed that were not cut by the tool. Imperfections in the thickness of the spoil piece was the cause. Maybe someday I will level it.